Rediscovering best-loved recipes and trying new ones. That is what I have been doing for the past month. Before that, for about a year, my husband and I lived with his parents. Most of our belongings went into storage, and my routine of cooking daily meals got tucked away too. When we moved into our own apartment at the end of July, I began to dig through boxes and pull out treasured teacups, brightly colored bowls and wooden spoons worn down to ideal smoothness. I also began to dig out cookbooks and remember favorite recipes. Case in point: fresh fennel. It is one of this dish’s key features, and I had never cooked with it before sautéing it in this recipe. 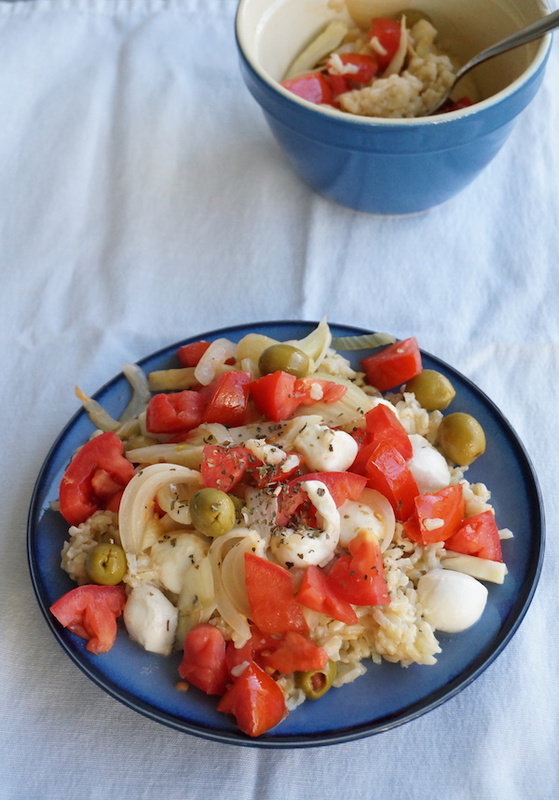 The anise flavor of the fennel blends well with fresh tomatoes, briny olives and the salty creaminess of mozzarella. If you love Greek salads, you’ll find many favorite flavors here. When you use Conebella Farm mozzarella for this dish, you will know that it is truly a fresh cheese. Don and Pam have it made fresh every other week! 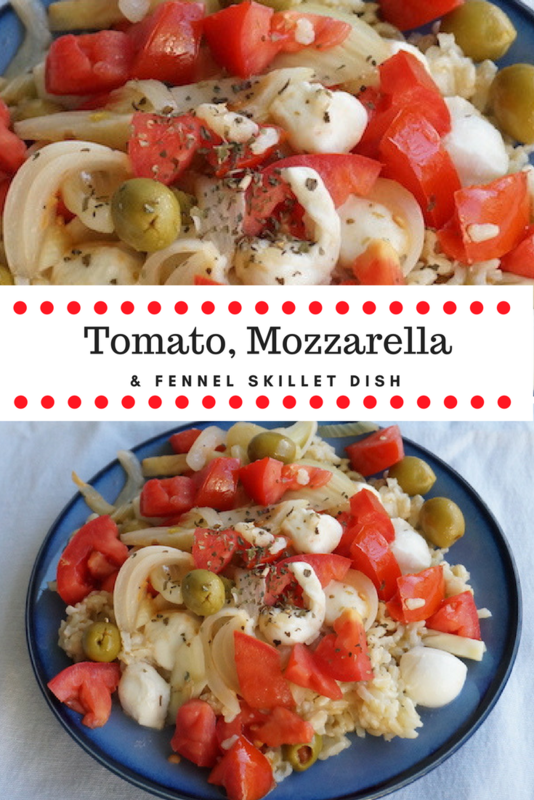 Since the mozzarella must be made fresh, it does tend to sell out quickly, so it’s wise to preorder by contacting Pam at Gable@ConebellaFarm.com. And be sure to use the cheese soon after you purchase it. The mozzarella lasts three weeks if unopened, but, like all fresh cheese, it will spoil quickly once opened. Pam has frozen the fresh, unopened mozzarella with success and suggests this as an option if you can’t use the cheese right away. You will also know that the creaminess and saltiness of this cheese are perfectly balanced. Don and Pam taste-tested early versions of the mozzarella to be sure it achieved this harmony– one that this recipe makes good use of. Saute fennel and onion until very tender, about 10 minutes. Add lemon juice and tomatoes. Stir and cook until tomatoes are just tender (not stewed). Remove from heat and add cheese and olives.